No passionate tourist can miss Ukraine! This country in Eastern Europe has everyone to become one of the main goal for every tourist to visit. Though tourism is not very developed in Ukraine, and the world knows it just because of Euro 2012 and Chornobyl, this country is very beautiful and realy wonderful! Here are top 5 places you can’t miss when in Ukraine. Believe us, each of them is worth your attention. 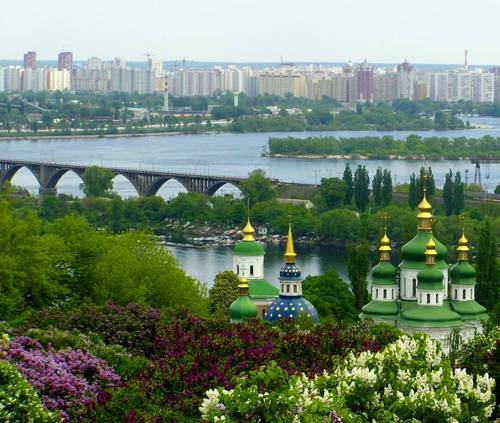 Kyiv is the most popular city in Ukraine, the capital and the heart of this country of course. A cradle of everything Russian is beautiful and gorgeous, especially in summer. Green banks of the mighty Dnieper River, the golden domes of numerous churches, interesting architectural ensembles from baroque to modern, historical sights and museums scattered throughout the city do not leave any visitor indifferent. Kiev is in the list of 50 most interesting cities to visit from a tourist’s point of view. It attracts us not only with its architecture and culture, but also its magnificent views that open from its scenic mountains. The capital of Ukraine stands on 7 hills, which saw the thousand-year history of this country and can tell many interesting stories about it. Each of these mountains was once described by a great writer or painted by a great artist. 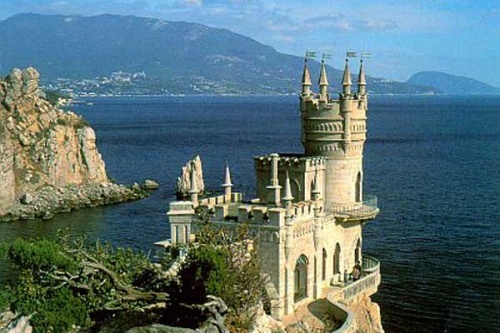 The Crimean peninsula is one of the most beautiful and mysterious places in Ukraine. Its highlight is not even a rich historical past, but sceneries: sea and beaches, plateaus and mountains, pine forests and cypress groves. There are motels and beach resorts, water parks and dolphinariums in Crimea. This is an excellent opportunity for outdoor activities and excursions: you can visit many menhirs and dolmens, “stone boxes” of the ancient Tauris, cultural and architectural monuments of different eras and people who inhabited Crimea, the ruins of Greek city-states, prehistoric and cave cities, and medieval fortresses as well as numerous palaces. Lviv is a mysterious, beautiful and elegant ancient city that was known as the most “non-Soviet” city of Ukraine. 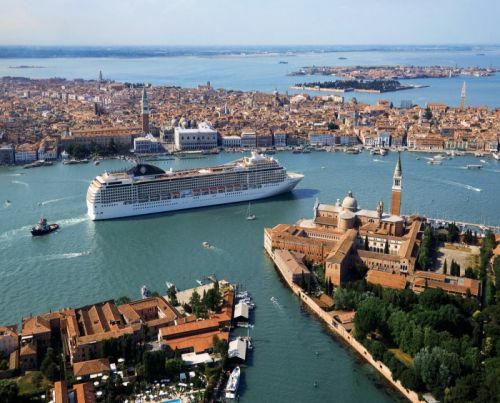 The city center, which is listed as the UNESCO World Heritage, is an enigmatic mixture of different architectural styles – Gothic, Renaissance, Baroque, Rococo and Modern. Lviv is one of the oldest cities in Central Europe, where the first university in Ukraine was founded. 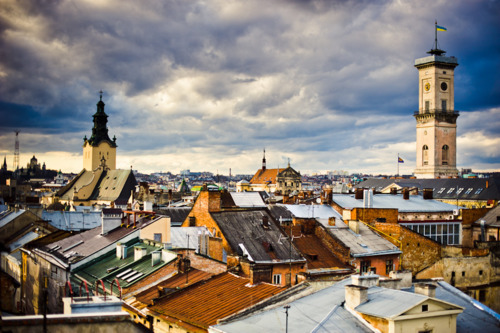 According to official written sources, Lviv was first mentioned in the XIII century. There was a strong defensive structure on a high hill above the old part of the city which was called a high castle, and only a fragment of its wall can be found today. This hill is being used as a tourist viewing platform, as it offers a panorama of the old part of the city with churches steeples rising high into the sky. There are many castles, spa resorts, ancient towns and various places of worship, 5 theaters and 12 museums in Lviv region today. This is a city which appeared straight out of literature: an energetic, decadent, cosmopolitan cradle of humor, and not only Ukrainian one. Almost every building in the historic heart of the city is a monument of architecture. Odessa Opera House is considered one of the most beautiful buildings in Europe, and it is one of the main attractions of Odessa. Potemkin Stairs is the famous staircase in Odessa which connects the city center with its port and seaport. In 2007, the Potemkin Stairs was called one of the most beautiful in Europe. Deribasovskaya is the main street of Odessa and a popular place for evening walks, along with the Primorsky Boulevard, where you can find the monument to Duke de Richelieu, City Council, a monument to Pushkin, Vorontsov Palace, and the Potemkin Stairs. Odessa is also the largest Black Sea port of Ukraine. The network of underground labyrinths near Odessa will also attract your attention for sure: its length is in about 2-3 thousand kilometers. Ukrainian Carpathians are one of the cleanest parts of Ukraine. These mountains generously reward visitors with a stunning picture of natural landscapes, the beauty of coniferous forests, joy, and health. Every corner of Carpathians is original and unique. There are serpentine roads, rocky shores of mountain rivers, crystal lakes, forests and tending upwards pristine meadows. 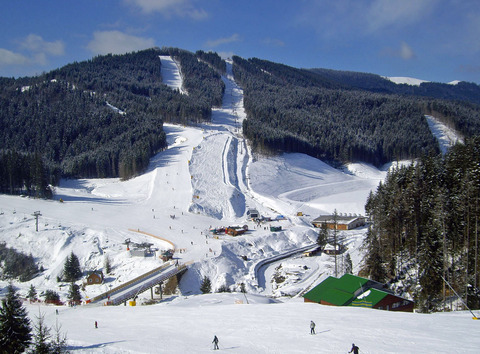 Carpathian mountains are especially attractive in winter, when all ski fans come there. Carpathians winter is characterized by relatively mild temperatures. The lowest temperature is 10 ° -15 ° C below zero in February. The average winter temperature is -5 ° C. Snow falls in the mountains in the end of November, and its greatest number can be noticed in the end of February and the beginning of March. Alex Strike is the one who’s submitted this article here. Look for his works on writing-help.com. Alex is a young blogger who shares his thoughts concerning blogging, games, techs and much more.